Box style design, outdoor weave chair in a 5 x 5 weave. Stylish metal frame. Held in stock for a free and fast delivery. Delivered assembled and ready to use. Bulky outdoor side chair in all black weave. 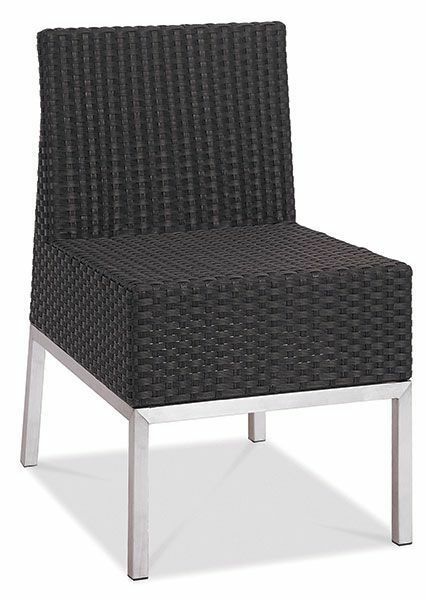 This sidechair is part of the popular Rossiter range, mix and match with the rest of the outdoor weave range. Delivered within 5-7 days from order.